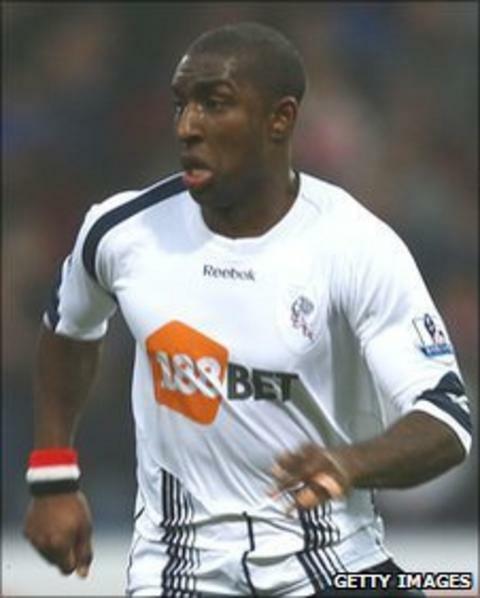 Bolton Wanderers defender Jlloyd Samuel has joined Cardiff City on loan until the end of the season. The Bluebirds confirmed the transfer before the emergency loan window closed at 1700 GMT on Thursday. The 29-year-old Trinidad & Tobago international has not played for the Trotters this season and is out of contract in the summer. Samuel is behind Paul Robinson and Marcos Alonso in boss Owen Coyle's pecking order. Cardiff were keen to add to their defensive options with Mark Hudson out for up to six weeks. The Bluebirds' central defender suffered a Grade Two tear of his knee ligaments, while Paul Quinn should return after the international break as he is expected to overcome a muscle strain. Samuel, who has seven England under-21 caps, last played for Bolton in the 4-0 defeat to Manchester United on 27 March, 2010.